The inflation rate in the country is as low as 86,857 percent. 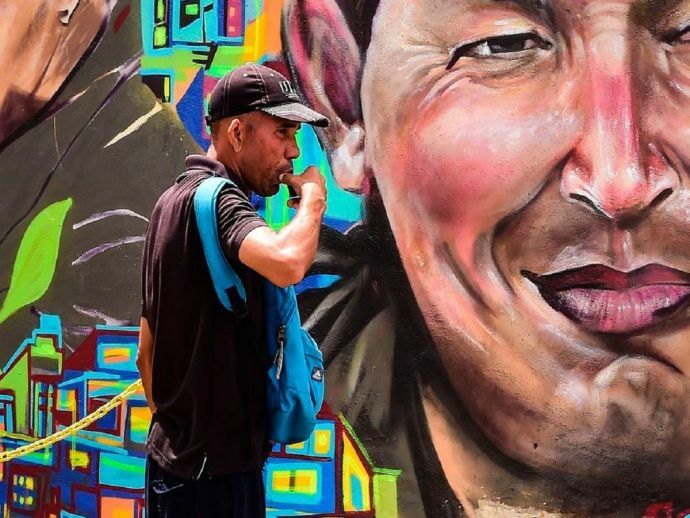 Even though the International Monetary Fund (IMF) raised concern over rising inflation of 1,000,000 percent in Venezuela in the current year, the data on the ground shows some dreadful reality. 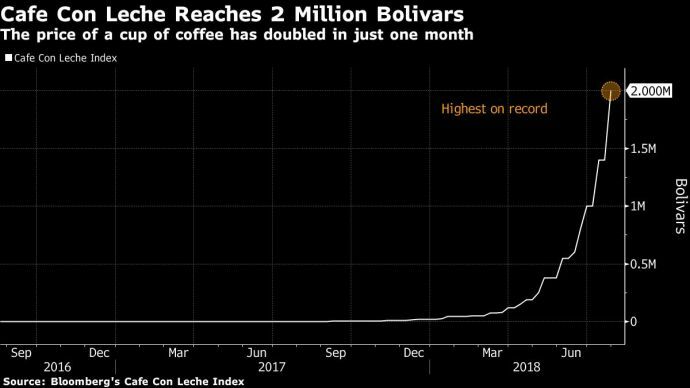 According to Bloomberg’s Café Con Leche Index, the cost of a cup of coffee shot up as high as 2,000,000 bolivars this week. Last week this cost was 1,400,000 bolivars. The price was 190,000 bolivars back in April, which shows that in the stretch of three months the cost has increased at a rate of 1,227,638 percent. The IMF said that the current economic crisis in Venezuela is one of the worst. The situation is similar to that of Germany in 1920s and Zimbabwe a decade ago. The inflation rate is as low as 86,857%. As a result of President Nicolas Maduro’s wild and hurried money-printing policy, the country is facing hyperinflation since last year. Hyperinflation, which has found its footing in the country, is now drowning it in poverty. The minimum wage has increased four times this year, with 5 million bolivars per month being the current minimum wage. Even with those wages, the people of Venezuela cannot afford to buy three cups of coffee. Trying to cover up the problem, the Maduro administration is resorting to policies that are no more than an eye-wash. The government is planning to bring in a new currency so as to eliminate the zeroes from the current bills that are in circulation. President Maduro announced on Wednesday, the plan of bringing in a new currency is delayed by a few weeks. He also said that eliminating the zeroes would barely do the trick now. The new currency was to be brought in, in the month of August which would eliminate three zeroes. As per the President, now five zeroes will be eliminated.